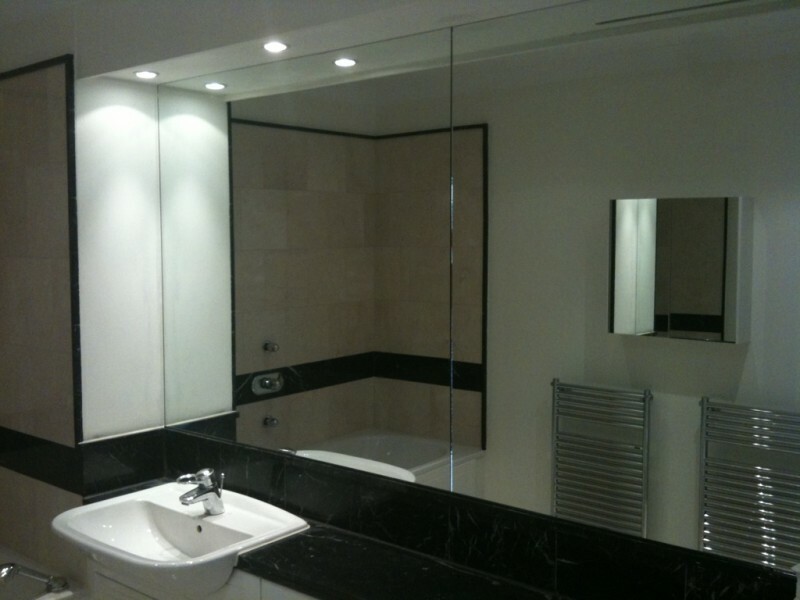 Mirrors, privacy film, privacy glass, coloured glass & Balustrades Fitted. 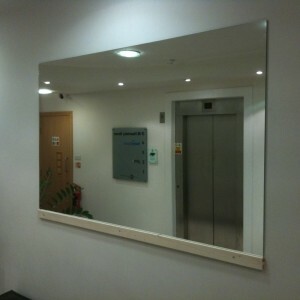 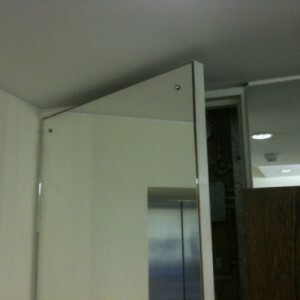 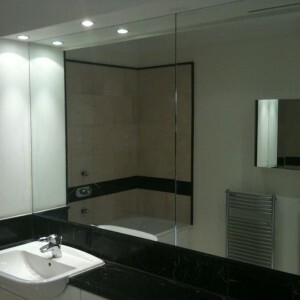 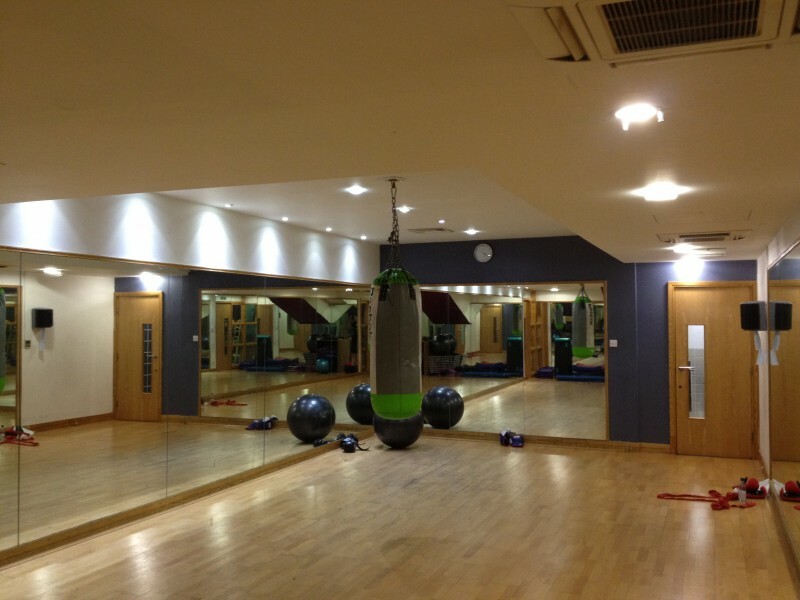 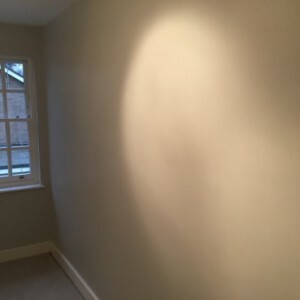 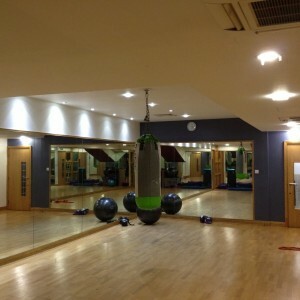 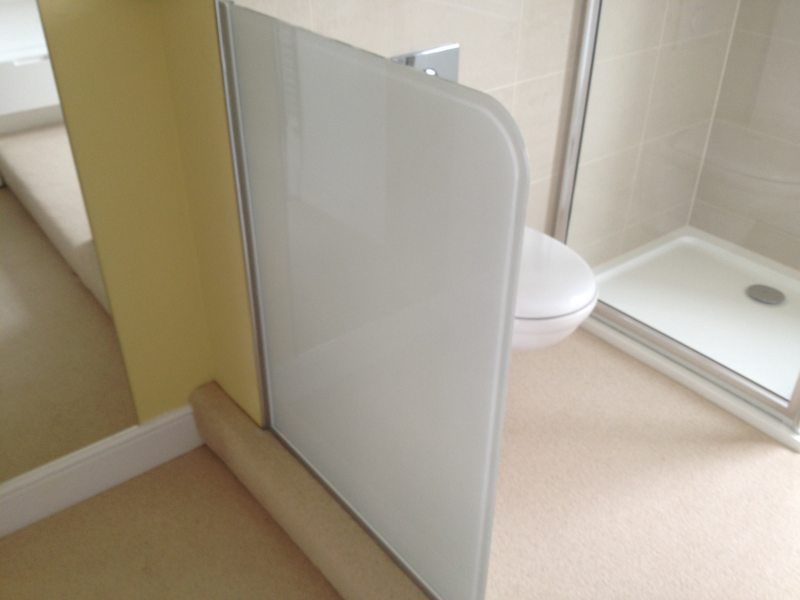 1st Call Glazing have supplied and fitted various types of mirrors, from large gym areas to bedroom and bathroom walls. 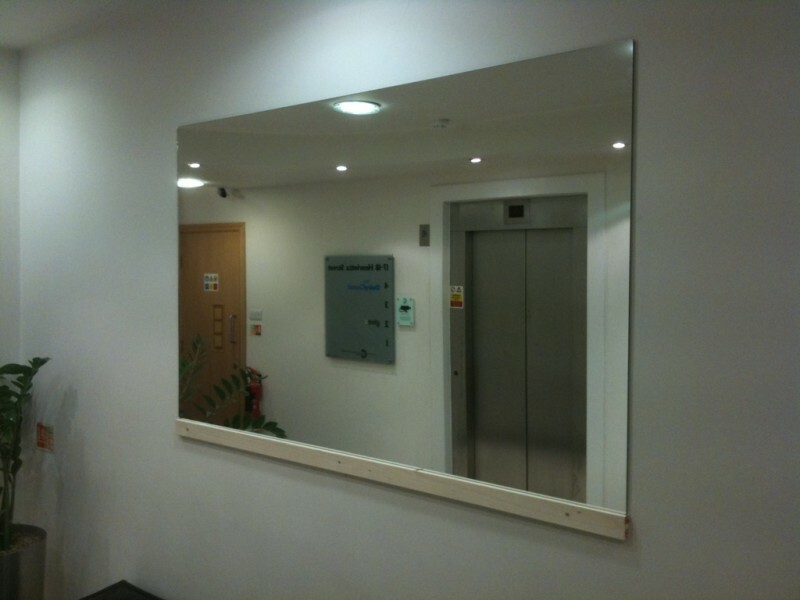 Mirrors can have different thicknesses; the edges can be ground down, polished or bevelled. 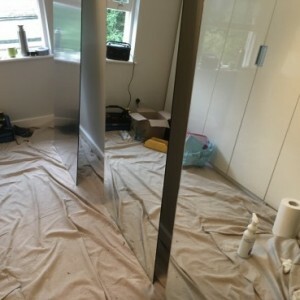 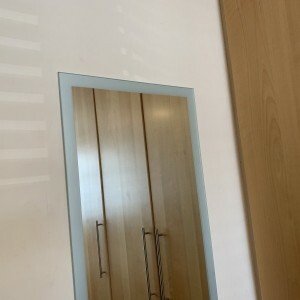 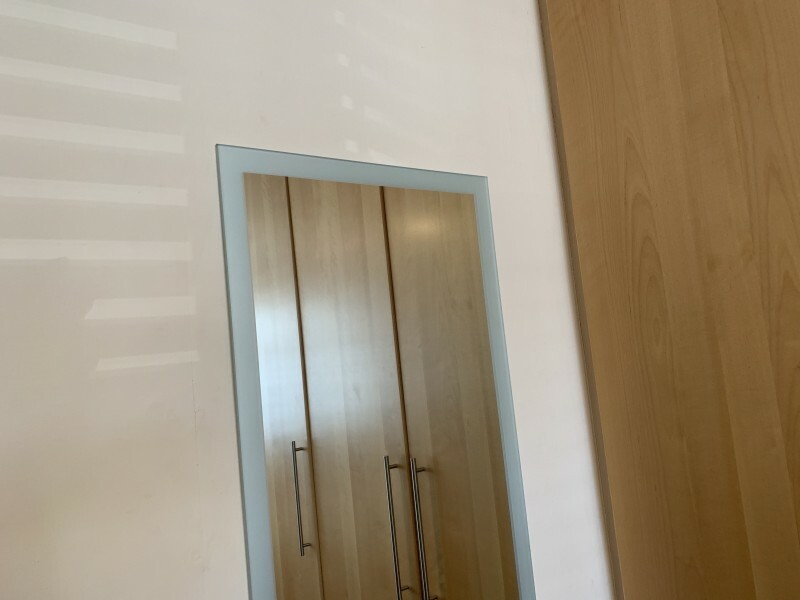 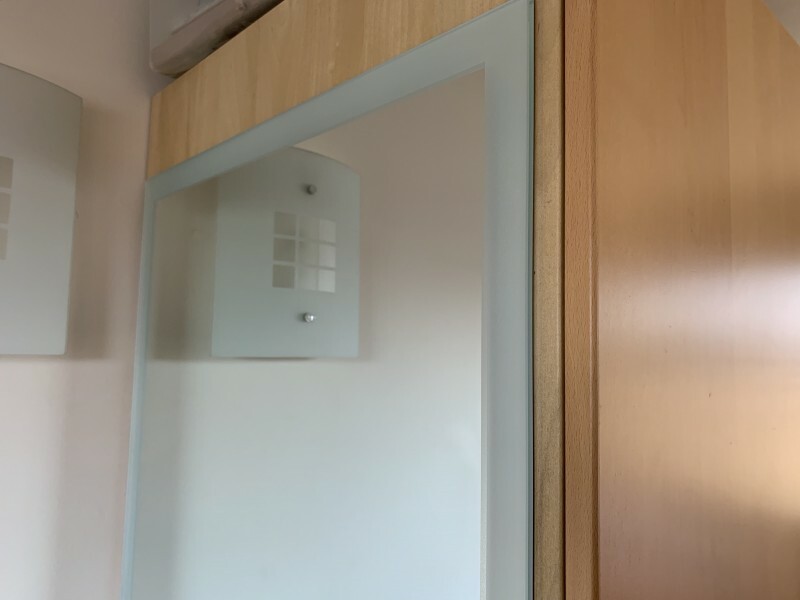 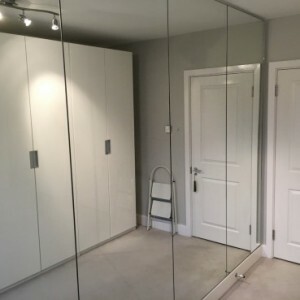 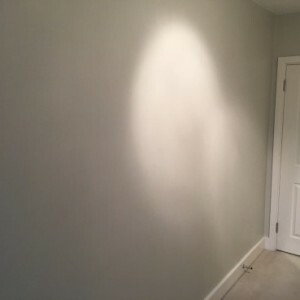 We can supply clips for fixing mirrors onto walls, holes can be drilled into the mirror to fix with screws and chrome dome-heads, or the mirror can be stuck to the wall with mirror adhesive and double-sided mirror pads. 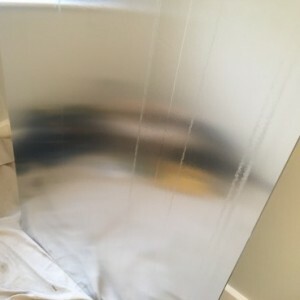 Safety foil backing can also be applied to the back of the mirror for additional safety. 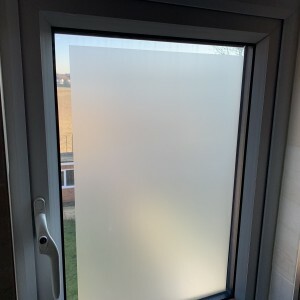 Privacy Film can be used for avoiding unwanted prying eyes and to give privacy in certain areas. 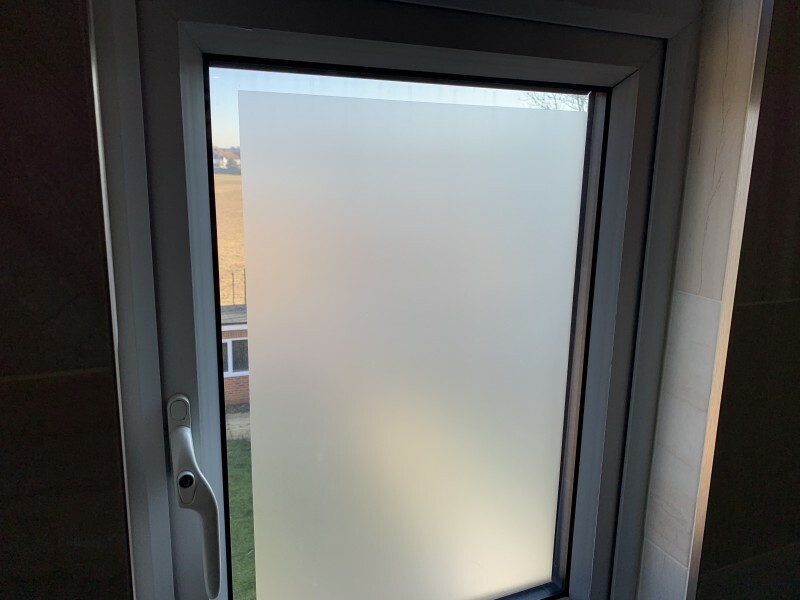 1st Call Glazing can fit various types of privacy film, from basic plain sandblast effect film, to film that has designs or logos build into it. 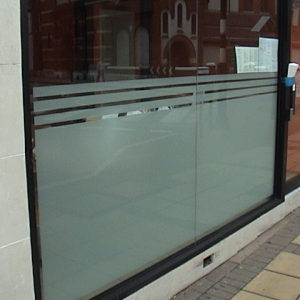 Sandblast effect privacy film can also be trimmed around the edges, to leave a clear border. 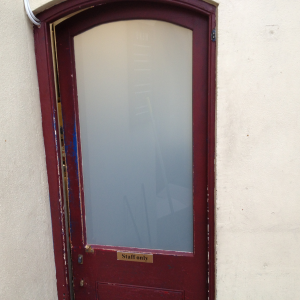 Entrance door fitted with White Laminated Glass. 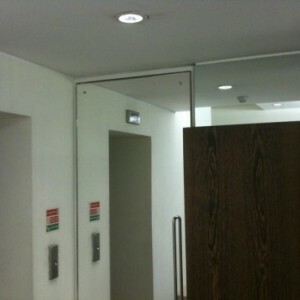 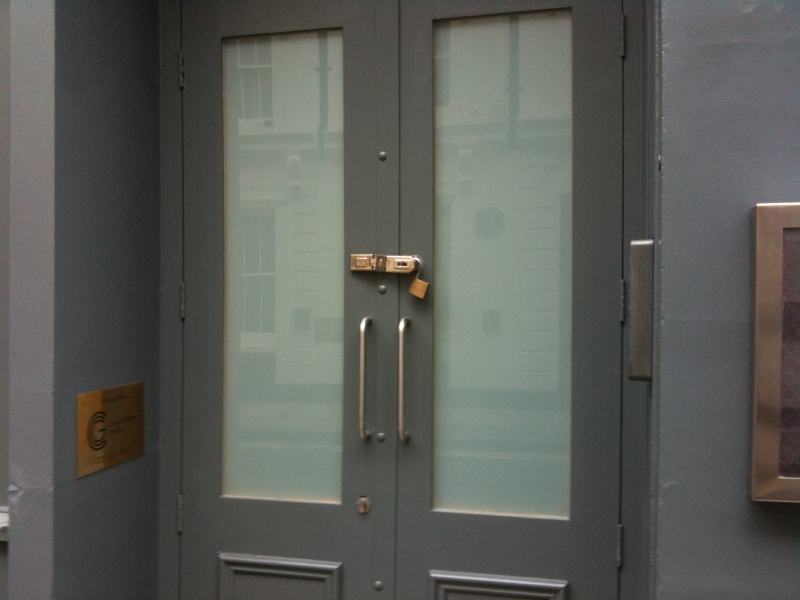 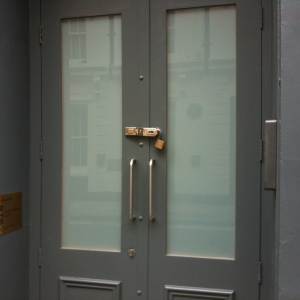 1st Call Glazing can also fit glass that already has a privacy element built into the glass. 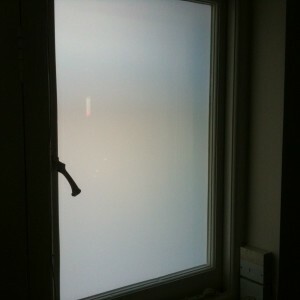 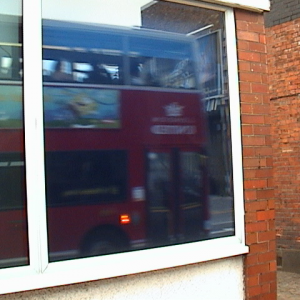 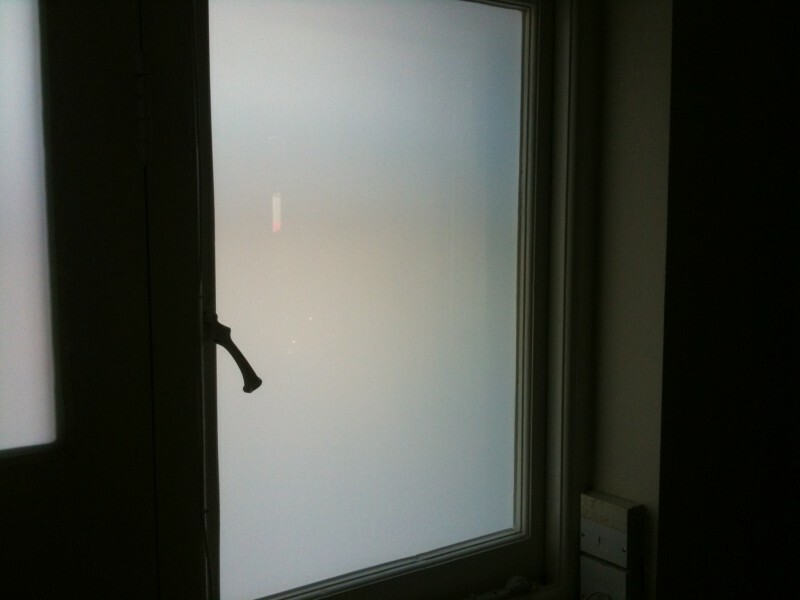 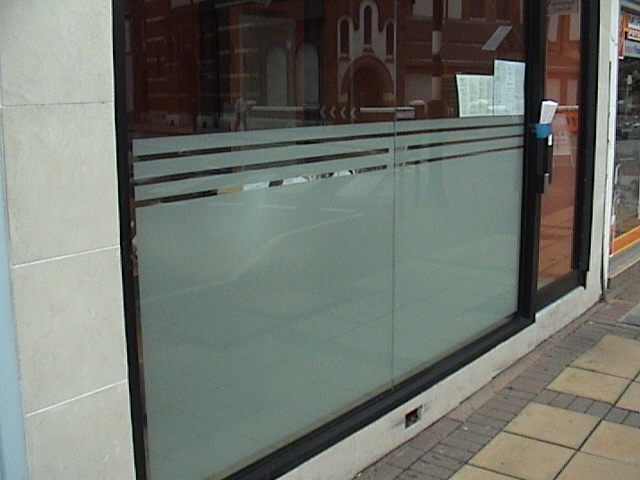 For example we stock a 6.4mm White Laminated Safety Glass, as shown above. 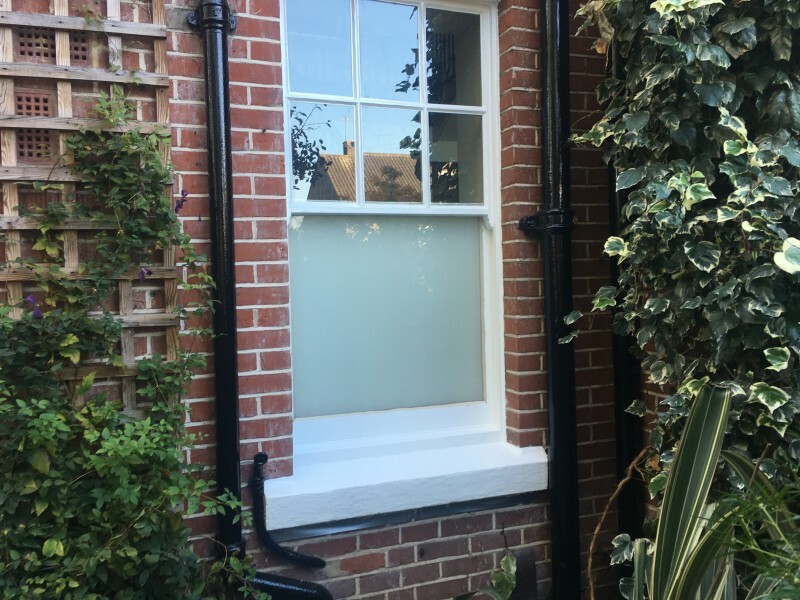 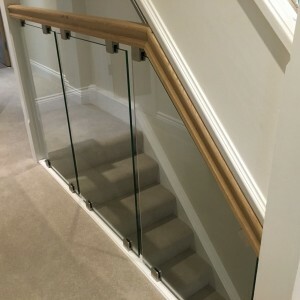 If required this type of glass can be cut and fitted on site into doors and windows (Also see White Laminated Glass section) Sandblast effect toughened glass with or without clear borders can also be ordered. 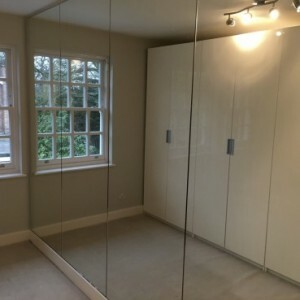 10mm Toughened Glass fitted with a white colour treatment on one side of the glass. 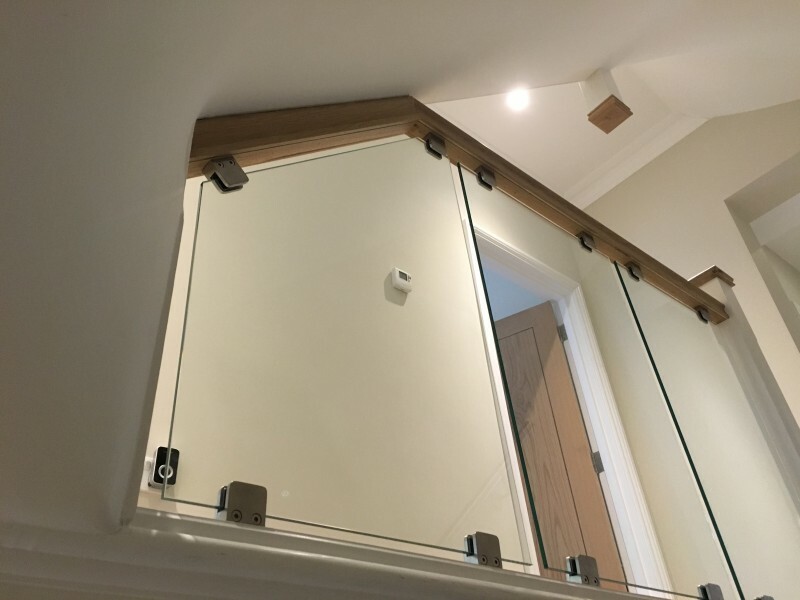 1st Call Glazing can also fit glass in a range of thicknesses,colours and designs. 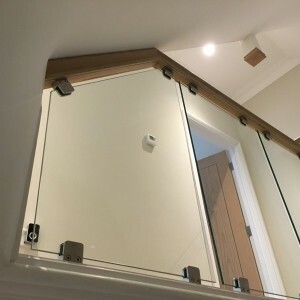 One of the pictures above shows a 12mm thick toughened glass, that has had a white colour treatment on one side of the glass. 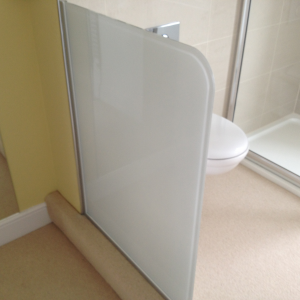 This type of glass can be used for privacy screens, or splash-backs, in various colours. 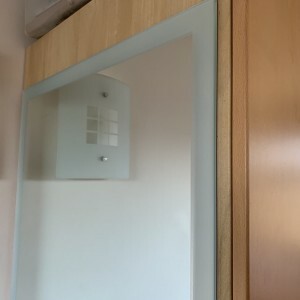 Different shapes can be ordered, rounded corners or cut outs for plug sockets can be processed when ordering this type of glass. 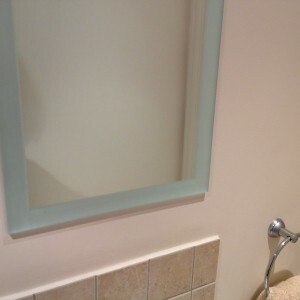 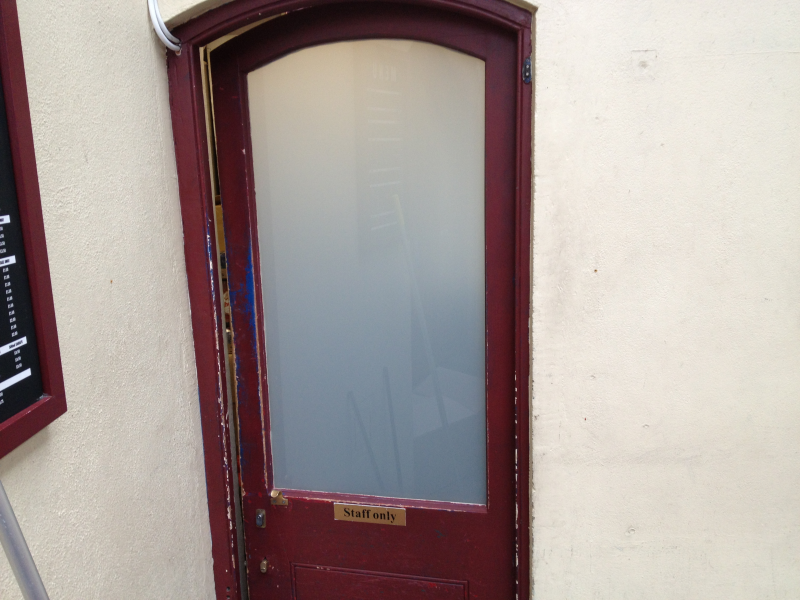 The other pictures show mirrors with a sandblasted borders, that 1st Call Glazing fitted. 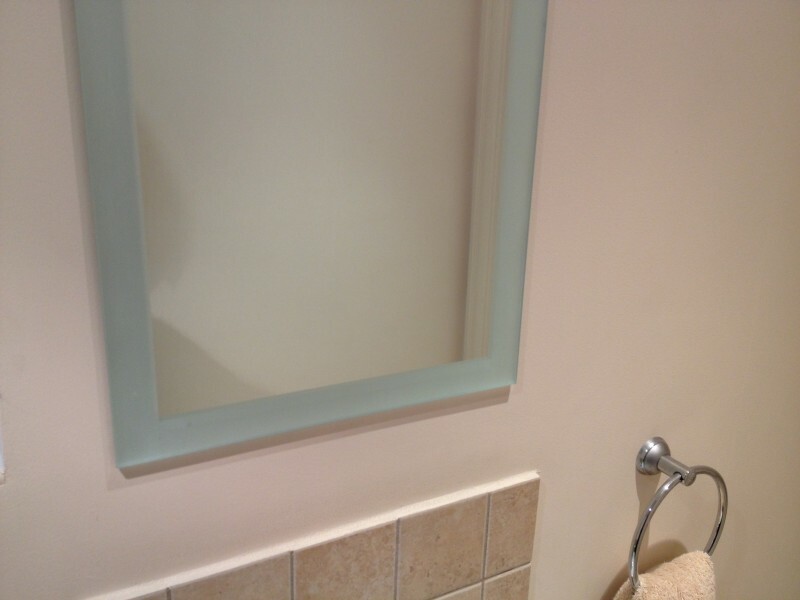 The sandblasted border gives the mirror a very unique look. 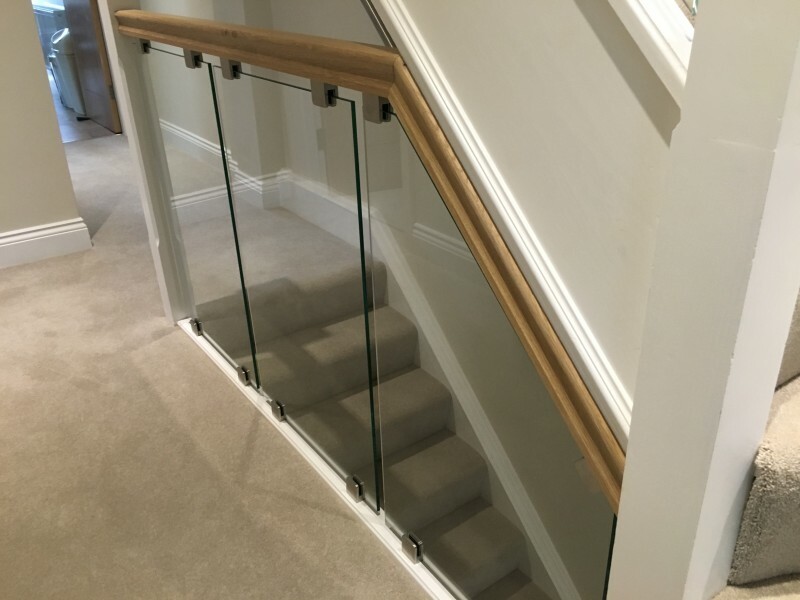 1st Call Glazing can also fit balustrades using toughened or toughened / laminated safety glass. 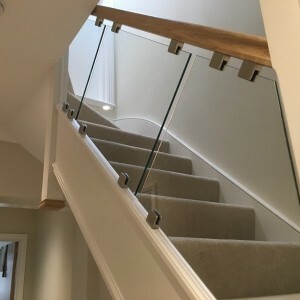 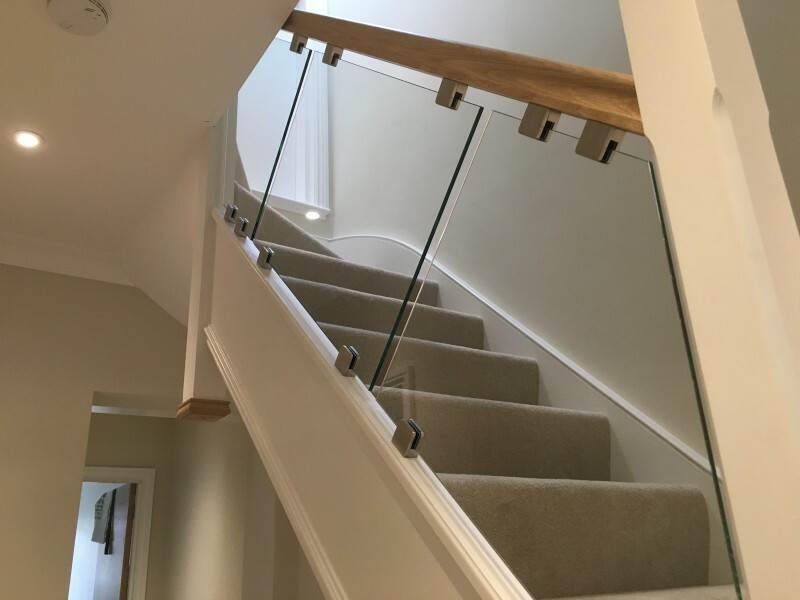 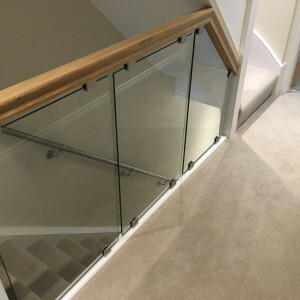 The pictures above show 12mm thick clear toughened glass that was fitted using clamps, within a staircase handrail. 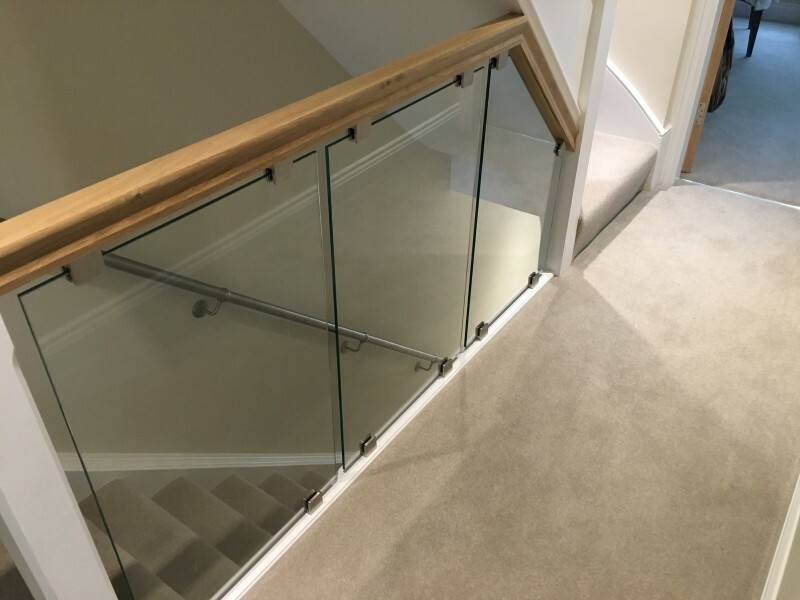 Templates were made when measuring the staircase and the toughened glass used was polished all round.